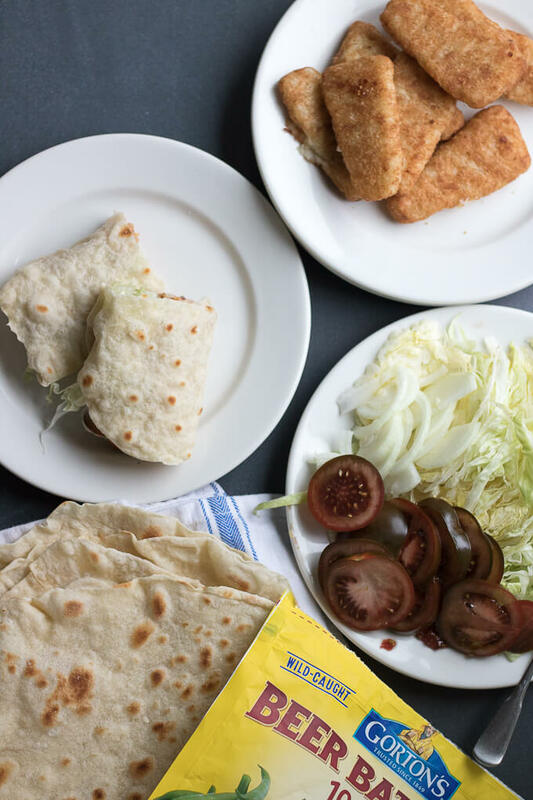 This Easy Beer Battered Fish Wrap has fresh ripe tomatoes, sliced onion, shaved Iceberg lettuce and Gorton’s Beer Battered Fish Fillets – all wrapped up in a tortilla wrap. Hi Everyone, it’s so nice to have a change from our usual chicken dinners once and awhile. Don’t get me wrong, I love chicken but I LOVE fish. Why? Because it’s such a treat. Also, it’s lent and I am looking for easy ways to have fish ready for dinner in a pinch, especially for those busy weeknights and school nights. 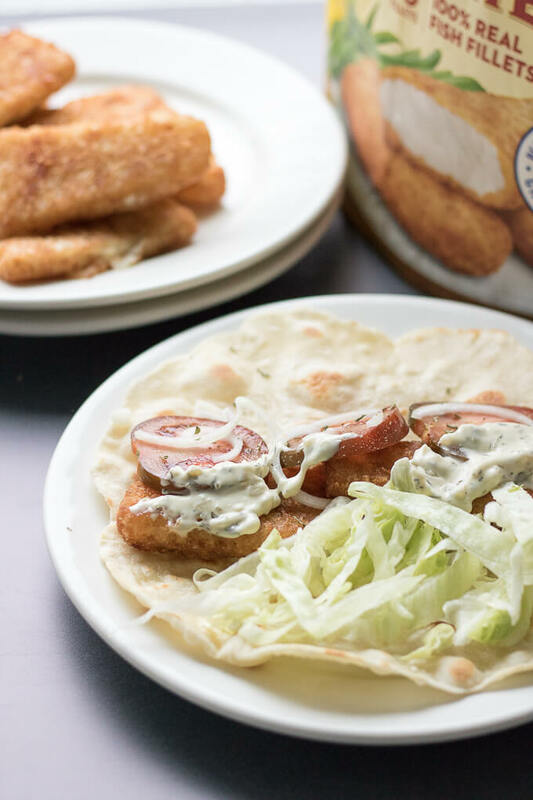 These Gorton’s Beer Battered Fish Fillets are SO easy to make. You just take them out of the package, put them on a rimmed baking sheet (lined with a silicone baking mat or foil), then bake! I prepare the other ingredients while the fillets are baking, so that the wraps are easy to put together once they come out of the oven. 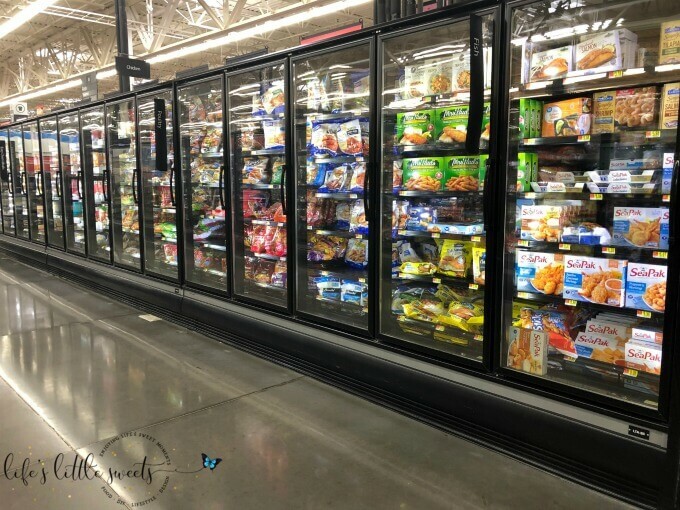 If you are a reader of this blog, you know I am always trying to find quick ways to get dinner on the table and still making sure that those dinners are delicious to boot. 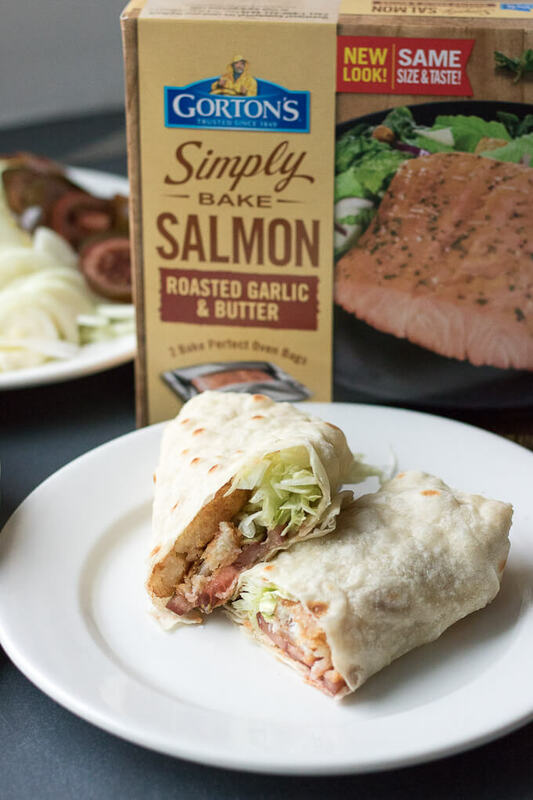 These fish wraps fit the bill because they get more fish in our diet and are so easy to prepare. 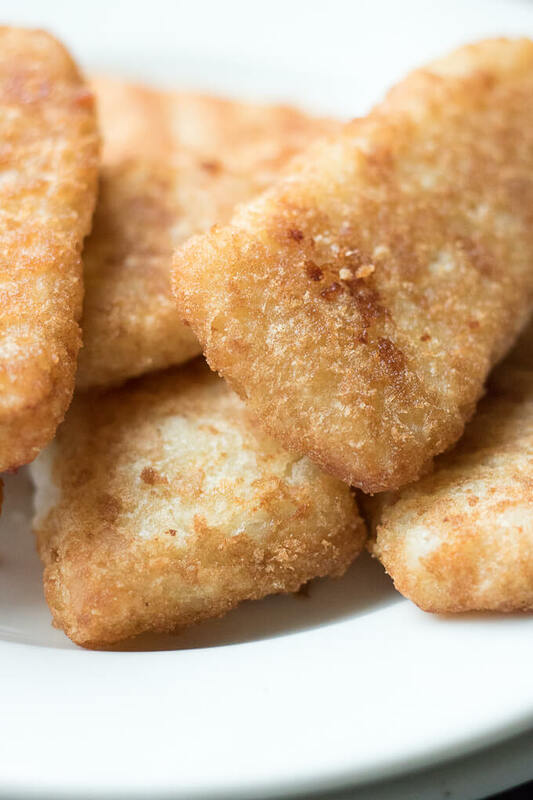 Gorton’s Beer Battered Fish Fillets are so crunchy and delicious. I love them because they remind me of my childhood when my parents would make them for lunch or dinner. They also remind me of Summer time because there’s a food shack restaurant which is only open during the Summer, along the Delaware, that we like going to and I always get a fish sandwich. 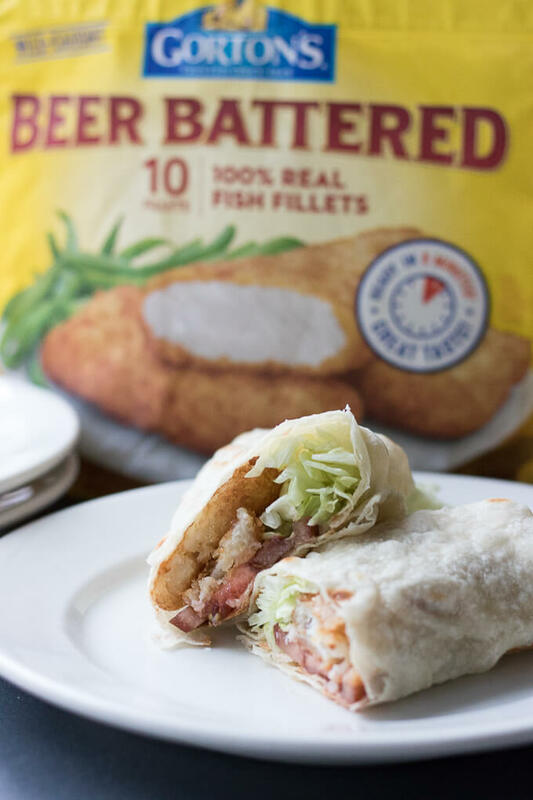 These Easy Beer Battered Fish Wraps are perfect for an easy weeknight dinner or lunch. 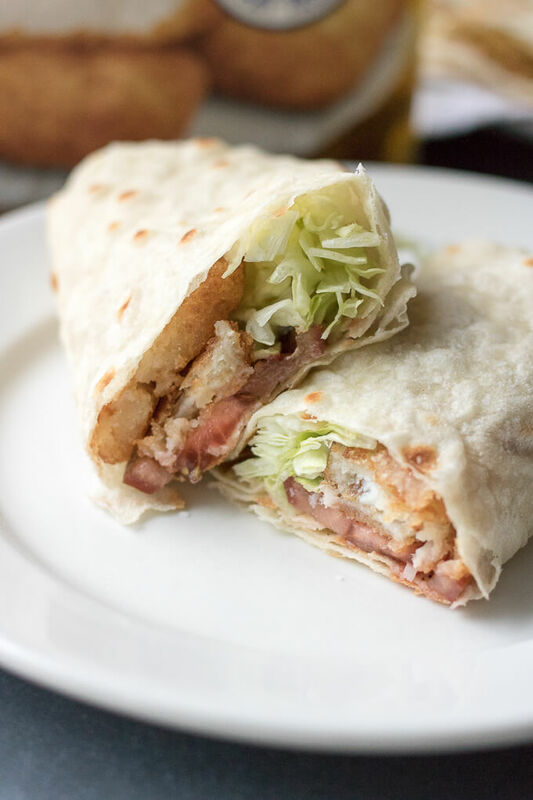 I know you will love these Easy Beer Battered Fish Wrap! 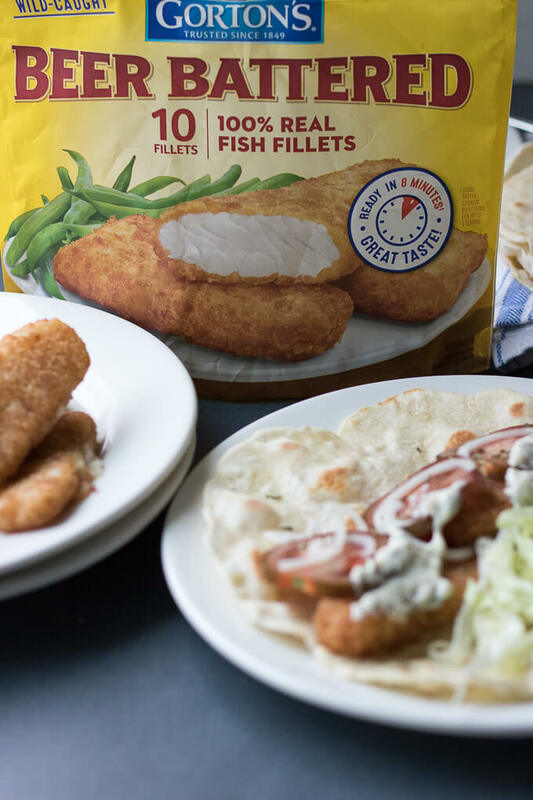 Cook the Gorton's Beer Battered Fish Fillets according to the package. While they are cooking, you can cook the Homemade Flour Tortillas or you can use store bought ones, if you wish. Also, while to fillets are cooking, you can prepare the Iceberg lettuce, onion and tomato. 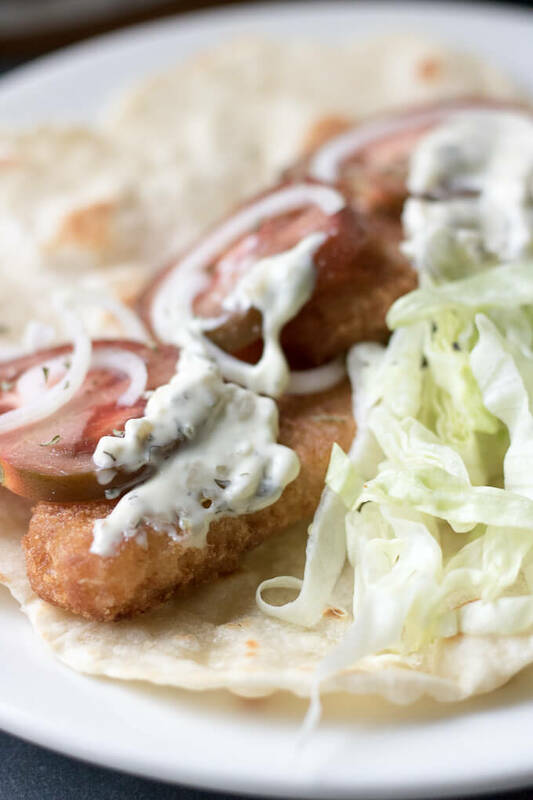 Place 2 fillets on the tortilla, add 3 tomato slices, add shredded lettuce, yellow onion, add mayonnaise or tartar sauce, salt and pepper, to taste. 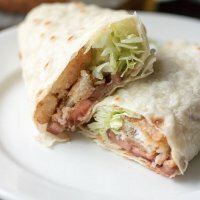 Wrap up the sandwich and slice in half. Enjoy!